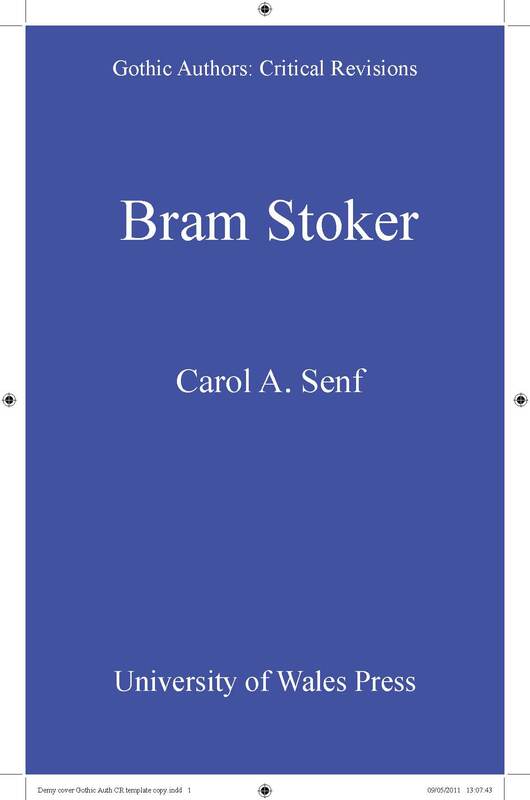 This study of Bram Stoker focuses on Stoker as a Gothic writer. Identified with Dracula, Stoker is largely responsible for taking the Gothic away from medieval castles and placing it at the center of modern life. The study examines Stoker's contribution to the modern notion of Gothic and thus to the history of popular culture and demonstrates that the excess generally associated with the Gothic is Stoker's way of examining the social, economic, and political problems. His relevance today is his depiction of problems that continue to haunt us at the beginning of the twenty first century. What makes the current study unique is that it privileges Stoker's use of the Gothic but also addresses that Stoker wrote seventeen other books plus numerous articles and short stories. Since a number of these works are decidedly not Gothic, the study puts his Gothic novels and short stories into the perspective of everything that he wrote. The creator of Dracula also wrote The Duties of Clerks of Petty Sessions in Ireland, a standard reference work for clerks in the Irish civil service, as well as The Man and Lady Athlyne, two delightful romances. Furthermore, Stoker was fascinated with technological development and racial and gender development at the end of the century as well as in supernatural mystery. Indeed the study demonstrates that the tension between the things that can be explained rationally and the things that cannot is important to our understanding of Stoker as a Gothic writer.